On 4th Mar 2018 I had posted on this batsman .. .. about the injury sustained by Victorian batsman Will Pucovski in a Sheffield Shield match against New South Wales after being hit on the head by a delivery from a fast bowler, who too has made headlines. Pucovski had to be helped from the field after he was felled by a bouncer on day two of the match at the Junction Oval. The 20-year-old ducked into a short ball from Sean Abbott and was struck on the side of the helmet, before kneeling on the ground. The bowler and other NSW players quickly went to his aid and signalled to the dressing room for help. Pucovski walked off the oval with assistance a few minutes later, retiring hurt on 4. When a coin is tossed up, there are only two possible outcomes – it can be Head or a Tail [crooked possibility of coin standing up removed] - the possibility of somebody determining the outcome, scientifically, is not probable – yet when it occurs in sequence by chance, some Captains are touted as intelligent when calling them ‘lucky’ would have been more appropriate. This is no post on ‘probability theory’ - probabilities are written as numbers between zero and one. To understand ‘Probability theory’ – the primary thing is that they do not tell you what would happen – merely what is likely to happen. So if the probability is say 4 out of 10 and you toss a coin 20 times, still you may not get even once right !! – might startle you but that is real. If you flip a coin 200 times and get 80 heads, then the estimate should be 80/200 = 0.4. 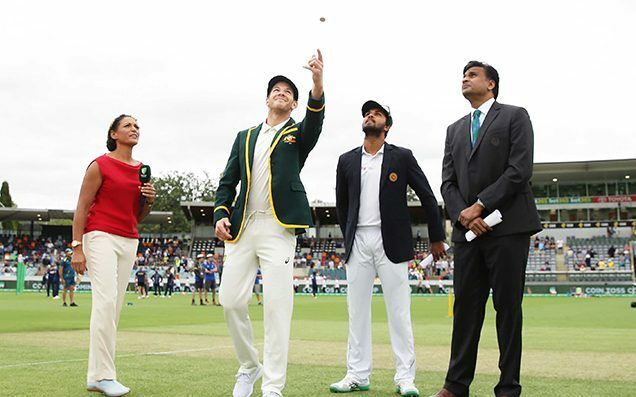 Neither the Captain Tim Paine not Aussie strategists could explain this any time – the abysmal record of ‘temporary Captain’ at the coin toss as Australian Test captain. When he walked out on Friday, he had a poor winning percentage of 12.5 per cent — the lowest of 173 players to captain their country in eight or more Tests.Paine’s only win at a toss in eight Tests as skipper came in Perth against India where he had no hesitation in batting first after ViratKohli called incorrectly. But at Canberra .. .. after having lost seven out of eight coin tosses since becoming Australia's Test captain, Paine shocked the cricket fans by winning the toss. In a hilarious attempt to change his poor luck, the Australian captain devised a new technique to change the results. Paine switched his hands and flipped the coin using his left hand and actually won it ! Lankans are struggling in many a fronts ..Sri Lankan cricket has lurched further into crisis after a social media spat involving the wife of one-day captain Lasith Malinga labelling the team as a "laughing stock". All-rounder Thisara Perera wrote a letter to the Sri Lanka Cricket chief raising questions over Sri Lanka's leadership after allegations by Lasith Malinga's wife, Tanya Perera, that he had asked the nation's sports minister to ensure his selection for the side. The drama comes with Sri Lanka in disarray on and off the field. The former World Cup champions have won just one of their past 18 internationals, sacked a batting coach and lost another coach to the match fixing scandal that has engulfed the island nation. Earlier this week head coach Chandika Hathurusingha was removed as a selector just days before the start of the second Test against Australia in Canberra. Former Australian selector Mark Waugh has urged Usman Khawaja to take a break from the game to clear his head after a “shocking” shot and cheap dismissal that has heaped further pressure on his position in the team. Khawaja’s lean summer continued on Friday at Manuka Oval when the left-hander edged his third ball to second slip off the bowling of Vishwa Fernando for a duck. Then there is another bizarre occurrence .. .. Victorian young gun Will Pucovski has been released from the Test squad due to mental health concerns, Cricket Australia announced on Friday night.Pucovski reported his concerns with CA medical staff in the lead-up to the second Test this week and after consultation with his family and Cricket Victoria it was decided to send him home. Pucovski, who turns 21 on Saturday, took indefinite leave from the game due to mental illness earlier this summer after hitting 243 against Western Australia in October. He returned to play in the last round of the Shield for Victoria in December before being sensationally picked in Australia’s Test squad for the series against Sri Lanka. Pucovski was surprisingly overlooked for the first Test last week in preference to NSW’s Kurtis Patterson, who blazed twin centuries in a warm-up game against Sri Lanka. 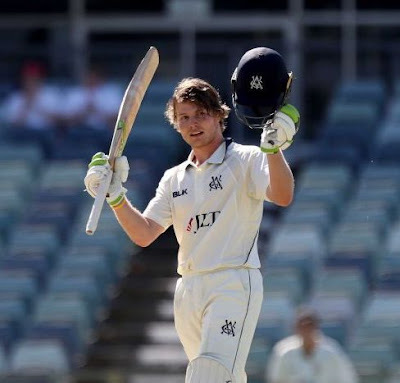 It is stated that the issue was not related to his non-selection in Brisbane.“Will Pucovski has been released from the men's Test squad and will return home to Melbourne to continue managing his wellbeing,” CA doctor Richard Saw said.“He reported some challenges over the past few days, and the decision has been made that the best thing for Will’s welfare is for him to return home to Melbourne.”“Will’s decision to speak up and continue to ask for assistance in managing his ongoing mental health is extremely positive.”Pucovski had spoken positivelty about his mental health last month after his call-up to the Test squad. ‘‘I am feeling really good. I am feeling as good as I have felt in a really long time. I have met some people along the way that have really helped me turn things around,’’ he said. Sad, and young Pucovski needs all the support..